Click the above image to play the video. Handlebar mustaches, full sleeve tattoos, numerous facial piercings and gauged ears are not the typical image that comes to mind when thinkings of cyclists. In the alternative culture of fixed gear racing, however, these are quite the norm. As a cyclist in NYC you become acutely aware of the fixed gear cycling community. Originally intended to be ridden on a closed course velodrome, the fixed gear bike has evolved into a way of life. The choice of many, if not all messengers in cities around the world the ‘fixie’ has established itself as a unique subculture in the cycling community. 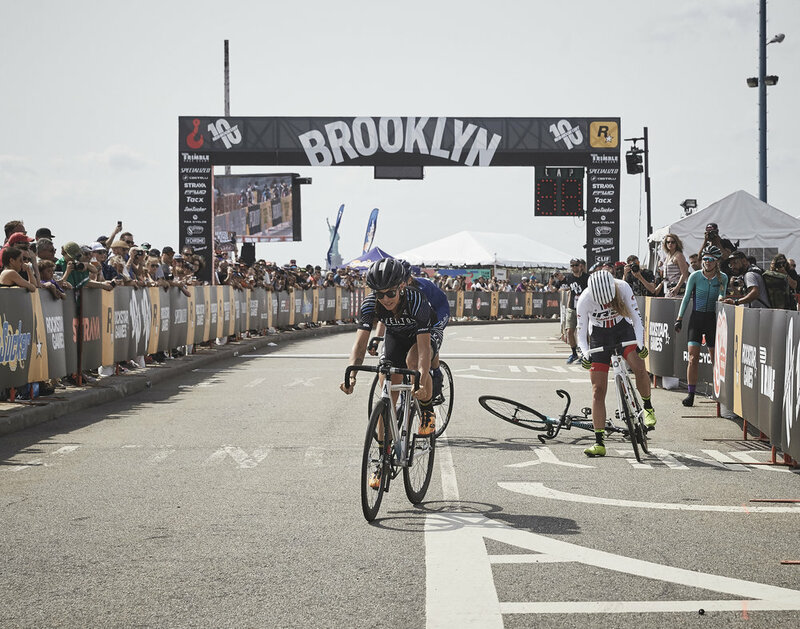 When I first heard about the Red Hook Criterium in Brooklyn, NY, I was intrigued. I had seen videos of the past races, seen how huge the crowds were, how like a giant party of cyclists the event was. So when this year’s race came around, and I heard it was the 10th annual Brooklyn race (the oldest in a four race international series) I decided I wanted to document it. I went into the event with no idea what to expect. I knew it was a massive race, and I was told this years would be the biggest yet with some of the world’s top cyclists attending. What began to unfold was nothing short of spectacular. 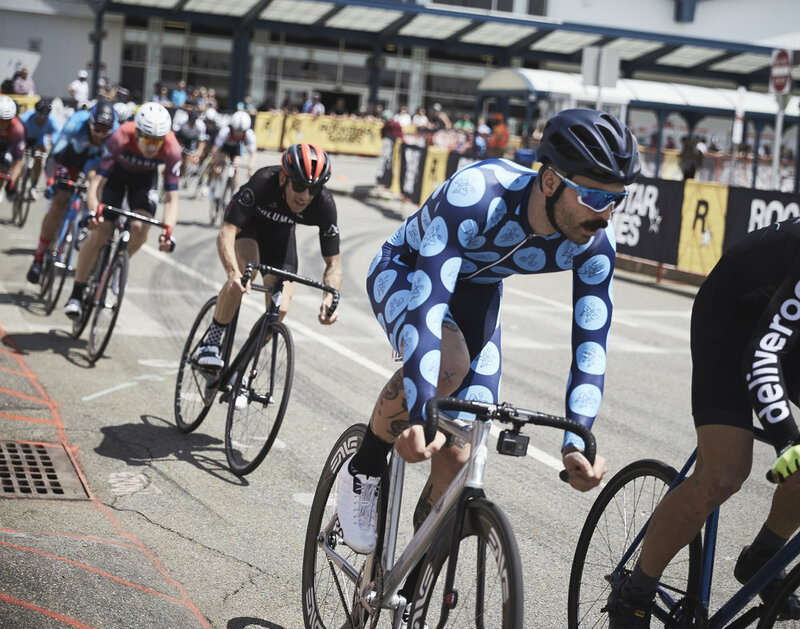 Red Hook had been transformed to a fixed gear cycling haven. Specialized unvieled a bike with custom artwork in honor of the 10th anniversary of the Red Hook Crit. 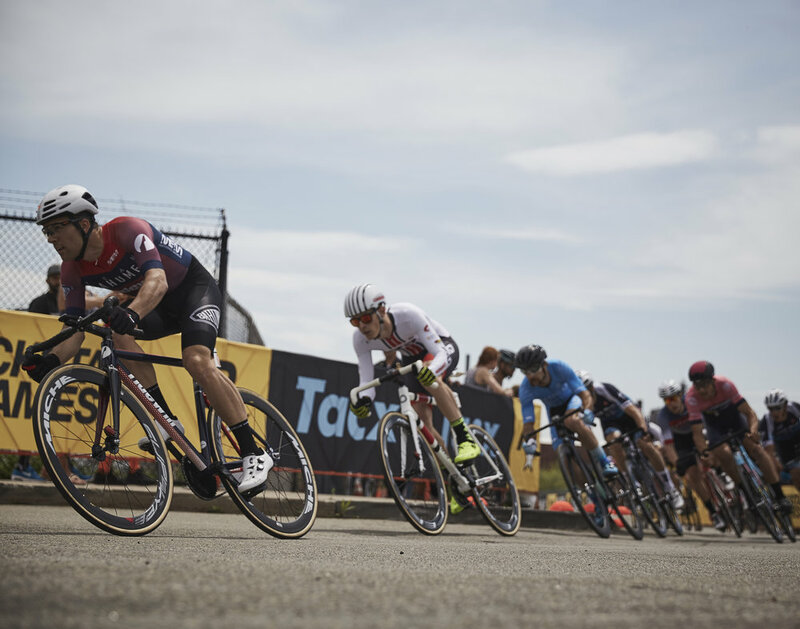 Competitors at the Crit range from the seasoned professionals and Olympic gold medalists, to city bike messengers testing their skills after work. 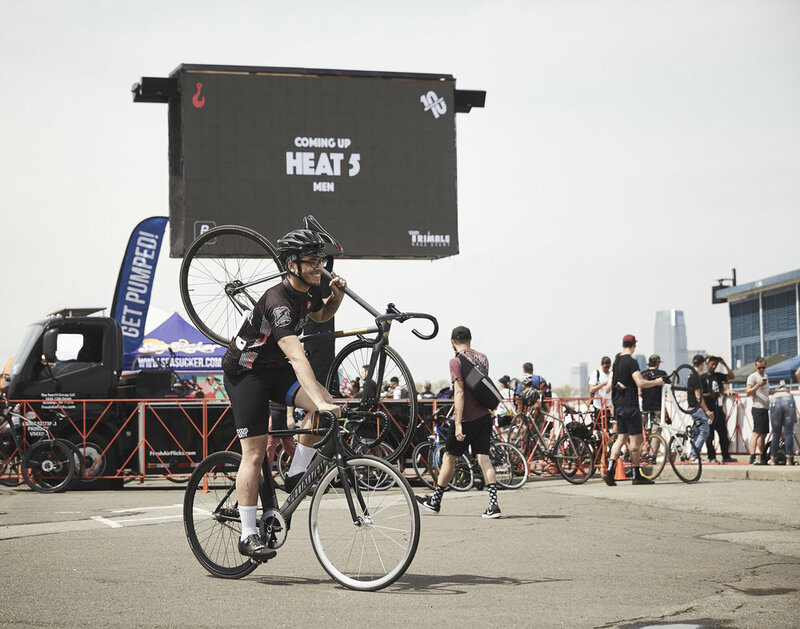 While many fixed gear bikes you see in NYC are old and worn out from daily use, the bikes you see at the Red Hook Crit are often very high end, carbon fiber, racing machines. However, the beauty of this event is that you don't need to have one of fancy bikes to compete. True to its small time origins, many people do still race with their every day commuter bikes. The full day of races consisted of several qualifying rounds, and a 'Last Chance' round for those who didn't make their desired qualifications. Several hundred cyclists would patiently wait for their round to race in the staging area. Rollers were everywhere for the cyclists to stay warm and ready for their next race. As the sun began to set, the cyclists prepared for the main event, the Criterium. At the start of the women's race a pretty large crash ensued. Bikes were broken, blood was spilled, and the race was reset. But losing some blood on the tarmac is of little concern to these athletes. 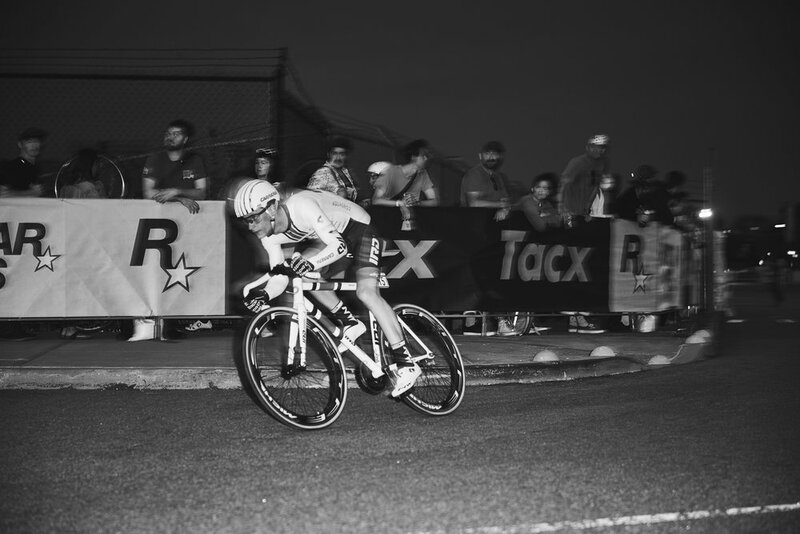 In the worlds of the Red Hook Crit founder David Trimble, "They are a very diverse group of athletes, they come from all different backgrounds in cycling, from all over the world... they're fearless."